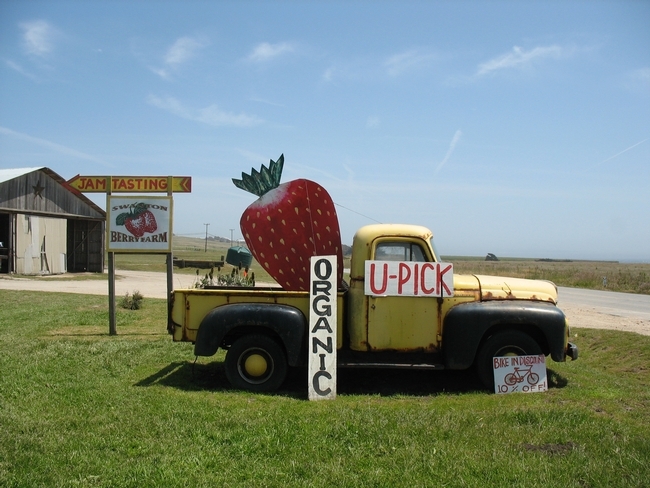 The U-pick strawberry fields at Swanton Berry Farm near Davenport on the coast are formally opening on May 28, but if you drive out there now, you’ll get a chance to pick without a crowd. Talking to Barrett Boaen, the U-pick manager, I got to the bottom of just why their berries, also sold at local Whole Foods stores, look and taste so good. Partly it’s the ‘Chandler’ variety, chosen for its old-fashioned sweetness and flavor although it yields only about two-thirds as well as some varieties. It’s also about not pumping up production with too much nitrogen or irrigation (more details here). Mostly, though, it’s about the picking process. A strawberry grower visiting from the East Coast recently bought two flats from the farmstand, saying he couldn’t help himself, he had never laid eyes on such beautiful organic berries, and he knew who to congratulate—the pickers. You and I are unlikely to come close to picking as well as Swanton’s unionized employees, some of whom have more than 20 years of experience at the farm. They recognize when a strawberry is as ripe as it can be, when it’s red and sweet all the way through (strawberries don’t continue ripening once they are picked). Although a less ripe berry is firmer, with a longer shelf-life and easier to transport, it has less flavor, so the pickers wait a day or two for any berry with a green tip or white shoulders to ripen perfectly. They discard berries that are soft on one side (from raindrops settling on the fruit) or have a cat-face look, which is lygus bug damage. Moving along the rows, which are banked up to 18 inches high to reduce back strain, they harvest each perfectly ripe berry, with its green calyx attached, in a “twist and flick” motion: “you put tension on the stem above the calyx, and rotate it, so you can see 360 degrees and whether there’s any damage to the berry; then with just the right tension, the berry will pop off naturally,” explains Boaen. Last week the fields were dusted with a zillion white flowers, which means a burst of fruit coming soon, but the cool wet weather this spring sealed the fate of the season. 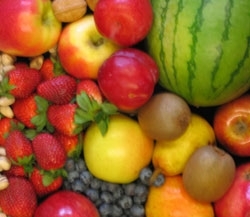 Growers need lots of fruit early, to sell before cherries and other fruits arrive on the market. Instead the late winter rains knocked off or damaged the flowers, and hail beat up the berries. Fortunately, the farm has several other crops, and the strawberry fields are filling with new berries. You can pick them this summer for $2.50 per pound (10 percent discount for bicyclists). Bring your own containers if you remember, a windproof jacket and boots in case of fog or mud, and most of all, Boaen recommends allowing plenty of time to enjoy yourself. By mid-June, Swanton ollalieberries will be ripe, and by mid- or late July, the blackberries will be ready. Farm tours are available by reservation. Organic strawberry and ollalieberry jams, and five other kinds, are available at the farmstand or online. Central Valley strawberry stands are expected to open soon, and if the next few weeks remain dry, as expected, it looks to be an excellent production year, report UC Cooperative Extension farm advisors in Fresno, Merced and Sacramento counties. 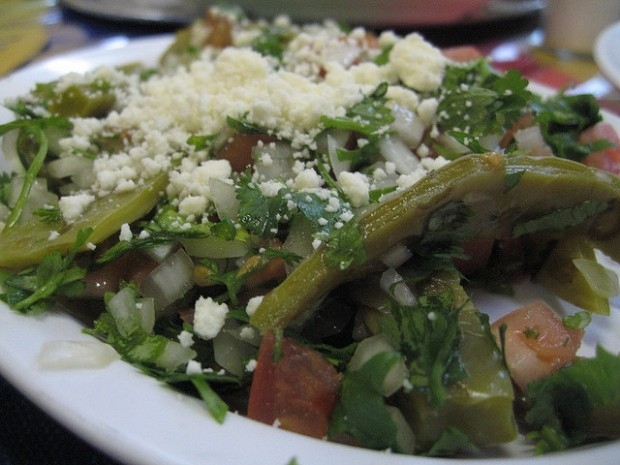 One stand in Fresno opened on April 9, and others will begin selling this weekend. Valley strawberry production is small compared to Southern California and Coastal production areas. Nearly all the farms are just a few acres in size and the bulk of their produce is sold at roadside stands. 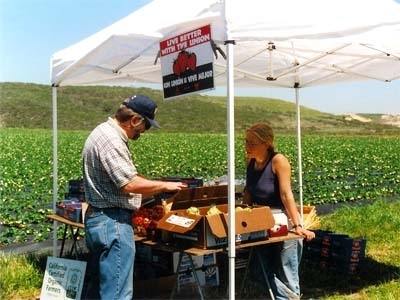 UC farm advisors work closely with these producers to help them grow safe and wholesome fruit. The farmers are mainly Mien and Hmong refugees from Laos, a Southeast Asian country that neighbors Vietnam. When the U.S. left Southeast Asia in 1975, thousands of Hmong and Mien fled their homeland to avoid persecution. Over 120,000 were eventually resettled in the U.S. The population today has expanded to an estimated 300,000. Many of the first-generation immigrants were farmers in Laos and turned to farming in the U.S. These growers lease small plots and grow several varieties of strawberries, such as Chandler, Camarosa, Albion and Seascape. Few have formal agricultural education. 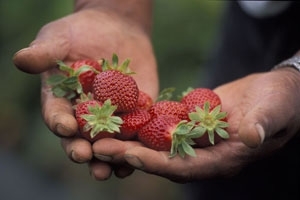 In addition to offering production assistance, UC Cooperative Extension farm advisors Richard Molinar in Fresno, Maxwell Norton in Merced and Chuck Ingels in Sacramento offer food safety training to reduce the risk of a foodborne illness outbreak associated with strawberries. Working with the California Strawberry Commission, Molinar and Norton have for the last five years held intensive food safety workshops that included hands-on training about proper handling of the fruit and personal hygiene. The farmers were given training materials in Hmong and English that they could use to teach the workers they hired about reducing any chances of the fruit becoming contaminated. Twenty-six growers in the Fresno region and 27 in the Merced region participated in workshops. Many are currently learning about third-party food safety audits with the California Department of Food and Agriculture. In Sacramento County, Ingels and a team of researchers provided on-farm training in pest management and food safety. 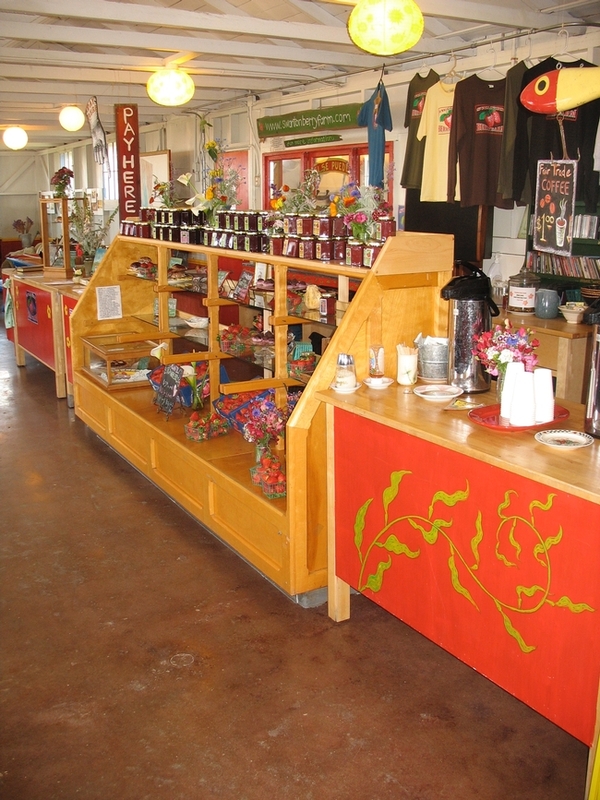 Ingels’ team worked directly with 11 strawberry growers in 2009 and 2010. With an increasing focus on food safety, many produce buyers, suppliers, and consumers want to know that good agricultural practices are being used on the farm. The programs in the various counties help to document and verify that farms are producing fruits and vegetables in the safest manner possible and that the farmer is aware of potential problems and steps to correct them. 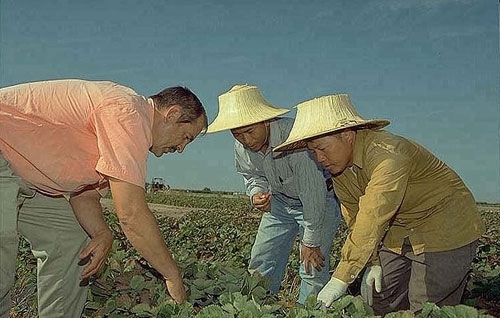 Richard Molinar, left, and his assistant Michael Yang, center, work with a Southeast Asian strawberry grower.